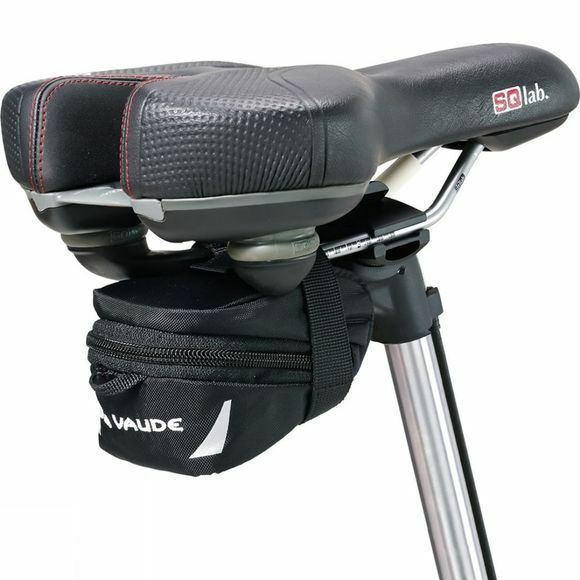 The Tube Bag Small from Vaude is just the right size for storing a spare tube and tools just in case you need them. Made from a Bluesign certified material, it is made to be as environmentally friendly as possible. It can be attached by Velcro underneath your seat. There is also a small inner pocket and the reflective details and safety light holder make sure you stay safe on the road in low light conditions.